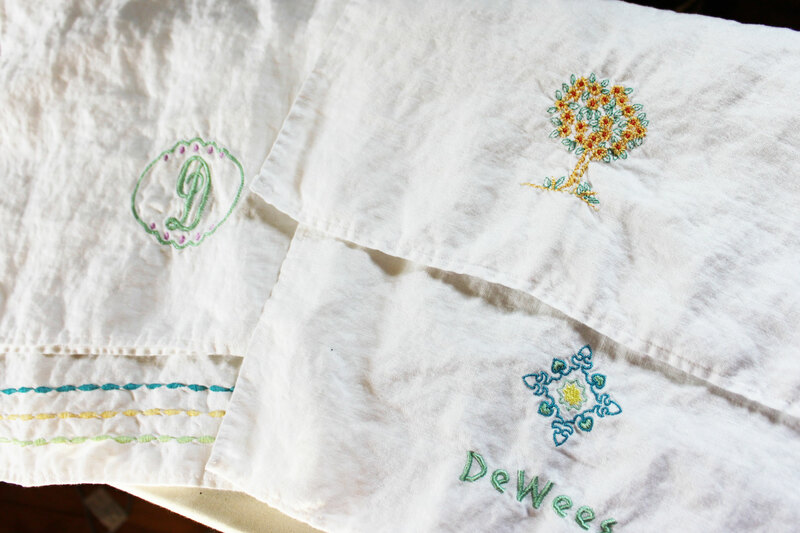 These towels were a just-for-fun summer project. I get tired of our standard, Costco cotton towels. 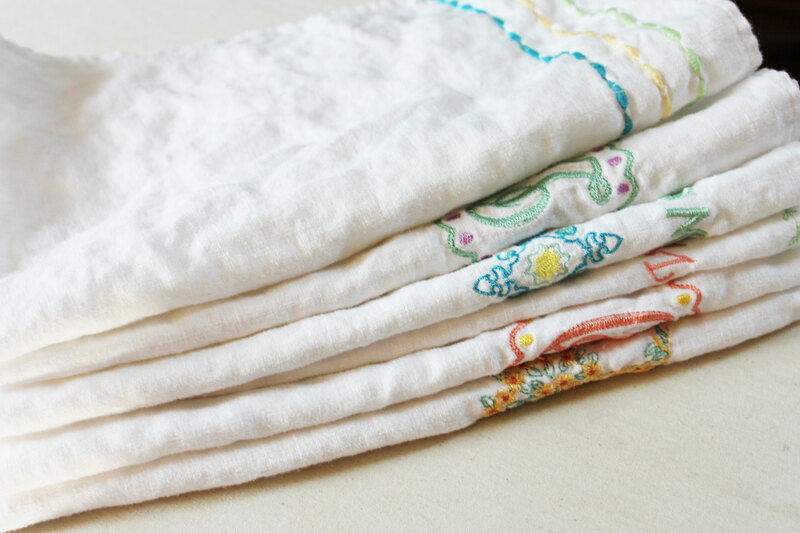 I love things that look old, rumply, beautiful and real, like vintage linen hand towels. 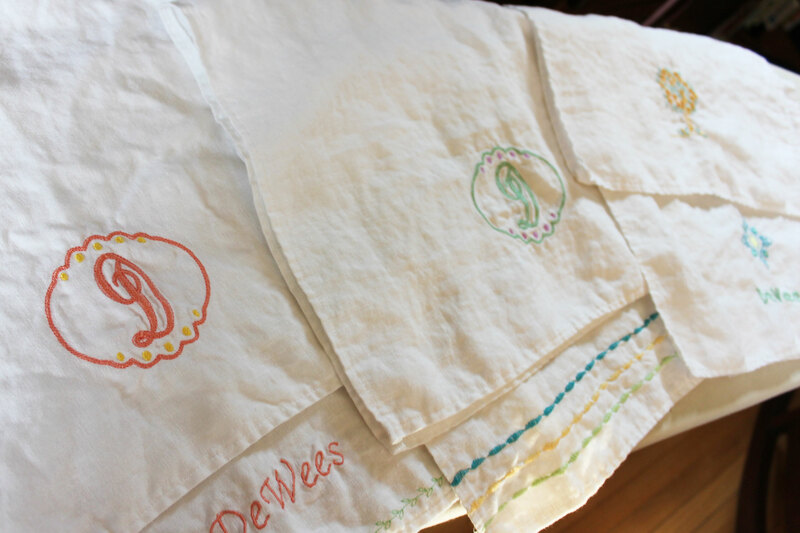 So I bought a yard of stonewashed white linen and had fun making eight new towels with a vintage look. They come out of the dryer just as they are pictured–rumpled but not wadded. They are very absorbent and dry quickly. 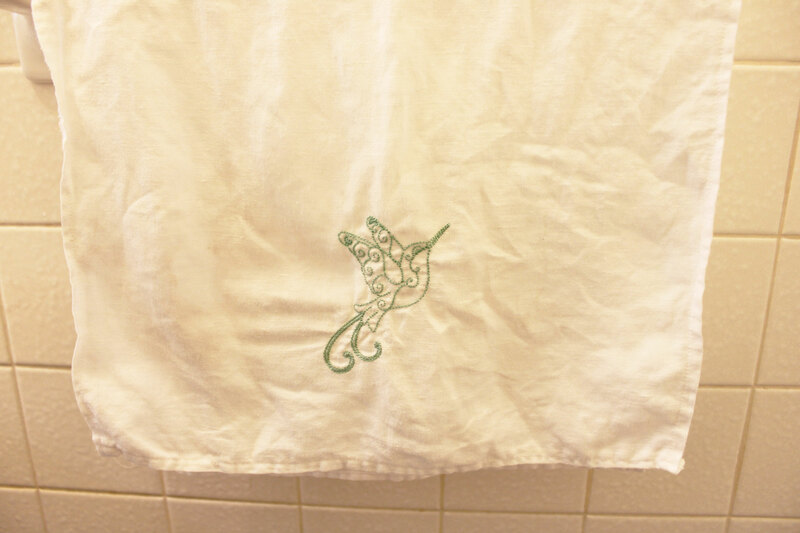 I used my embroidery machine to embellish four to match my upstairs bathroom, and another four for down. (I don’t think they all showed up for the photos.) I don’t do laundry quite often enough for these to be our only hand-towels, but they are all in frequent use and it makes something as ordinary as washing my hands into a nicer experience. Why not?